Safe flight and application are our number one priority. We are trusted in our communities for safe and quality applications and do our part to ensure the health and safety of the public. Please read on to learn how we ensure we are doing the best possible job at all times. Growers or owners of certified organic and/or sensitive crops as well as bee keepers are highly encouraged to register their sites with Fieldwatch.com. Countryside Aviation is a voluntary dues paying member of Fieldwatch which integrates with our mapping system to alert us of registered sites near application fields. This service is FREE to growers. Many aerial applicators do not use this service and we are proud to utilize this technology in our program because we take this very seriously. Our airplanes are calibrated and equipped with the most compatible nozzles for our aircraft and applications to mitigate potential drift hazards caused by droplet size factors, and in our normal day to day operation we take great care to monitor potential drift factors presented by weather. Knowing that sensitive adjacent areas are present is a benefit to applicator and grower, but we do not know about these sites unless they are registered on Fieldwatch. Wisconsin Administrative Code states that an individual may request advance notice of aerial pesticide applications to land immediately adjacent to that individual's residence, as provided under ATCP 29.53. As long as this adjacent residence is within 1/4 mile you may request 24 hr. notice from the person who owns or controls the site, given that you have submitted that request in writing in the same calendar year. This advanced notice does not apply if you are not an adjacent land owner, or for emergency applications for sudden pest outbreaks where the site owner will let you know as soon as reasonably possible. Please see ATCP 29.53 for specific information. Please reach out to your neighbor if you have a specific concern and would appreciate advanced notice when they hire an aircraft for pesticide applications. 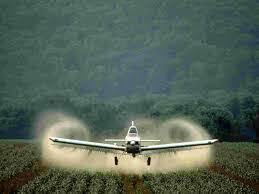 We understand that some may have concerns about low flying aircraft and the dispensing of crop protection products. We created this section to address the legalities and the overall procedures of aerial application at field sites in order to address any speculation about what we might be doing out there. 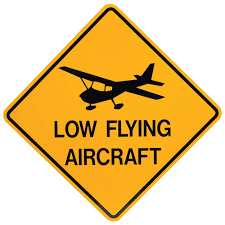 First, aerial application is permitted to take place at low level altitudes by the FAA. Agricultural aviation is not subject to the same minimum altitudes as general aviation during active operation. As longtime professionals in many sectors of aviation, we would never operate aircraft in a manner that was inconsistent with regulations and need to utilize the low altitude airspace to effectively do our job. Our pilots are certified and licensed aerial applicators highly trained in low level flight, maneuvers, and the safe dispensing of pesticides and other products. We all take the safety of flight and the return home to our families at the end of day extremely serious, so you can rest assured we are not out there creating a dangerous hazard to those on the ground. We begin planning the application before take off using aerial satellite images of the field and surrounding areas. Using this map we identify nearby buildings, trees, potential obstructions, specialty crops registered on Fieldwatch and note the current wind direction in relation to these items. We tentatively plan the direction in which we can make the safest applications that allow for the best flying pattern for the weight of our aircraft among other aeronautical information. We may fly in a direction that you wouldn't expect from the ground, but makes sense in the air - for example we may not spray the same direction the rows are planted. Once we arrive at the site we perform a visual inspection to confirm the above items, identify any additional obstructions, determine the location of powerlines and may perform a smoker test to determine wind direction and movement. Once we are confident in a safe application we set up our spray pattern that provides the least possible drift potential and make application to the field, constantly monitoring conditions. Every maneuver we make from entering the field, spraying, and exiting the field are purposeful and highly controlled. We must maintain certain speeds and perform certain maneuvers and turns to maintain control of the aircraft. Once complete we have effectively assisted a grower in controlling and combatting disease or infestation contributing to a successful crop. Let's talk Drift: potential and factors. Drift concern is a factor no matter the method of application by ground or air, and we take all the necessary precautions we can to mitigate off target drift. Research has shown that spray droplet size is the single biggest factor determining if drift will occur. Our aircraft nozzles are calibrated on a recurrent basis for optimum droplet size conducive specifically to aerial spraying and speeds. This is tested and corrected at spray clinics which we attend to ensure our settings are the best they can be. The second biggest factor in determining drift is wind speed and direction. We do not make applications when weather conditions are not favorable to the specific project. We determine favorability by using many variables along with the weather including product volume, density and composition, label regulations and recommendations, and site specific hazards. For extra assistance with droplets size and possible gusts of wind that can creep in at any time we use and highly encourage the use of spray additives that further aid drift reduction. We also constantly monitor conditions in the field as described above by using a smoker. A smoker releases a trail of smoke similar to that you would see at an airshow in the field around application height. Using this trail of smoke we can see wind direction, speed, and any movement it makes across the field in determining how and where to set up our spray patterns. We do find the majority of the public have a love for aviation and enjoy watching us - but if you aren't one of those folks please know that we of course aren't there to purposely disturb you. We have been invited to be there by the site owner, and are providing a valuable service to your neighbor by applying the protection products they need in a manner that does not cause damage to their crops or contribute to soil compaction. And aircraft engines make noise, this is an unavoidable aspect of our job. The majority of our applications take between 5 and 30 minutes and we usually only treat the field once or twice per year. We hope you will find this a short and small inconvenience as we provide this vital service to community farmers. What can YOU do to help protect your health and safety? Never enter a field during or after aerial application. Never linger, park, or stand directly next to the crops or at the edges while watching. Never cause the pilot to have to add you to his list of obstructions by purposely trying to distract him, or positioning your vehicle in the path of the aircraft. Site owners should ensure that people, pets, and livestock do not enter the site during application and during the re-entry interval. Although not required except for in certain cases, we do recommend that growers give adjacent neighbors a friendly "heads up" that you plan to have an aircraft at your field.